Our tree bed is right at the end of the nursery where we are able to give the right shelter and water to the trees. We display trees for the appropriate season in the retail area (i.e. flowering cherries in spring) but please ask if you wish for something that is not on display. Paul loves trees so we have a very comprehensive stock. During September we take orders for BARE ROOT trees and hedging. These are ornamental or fruit. 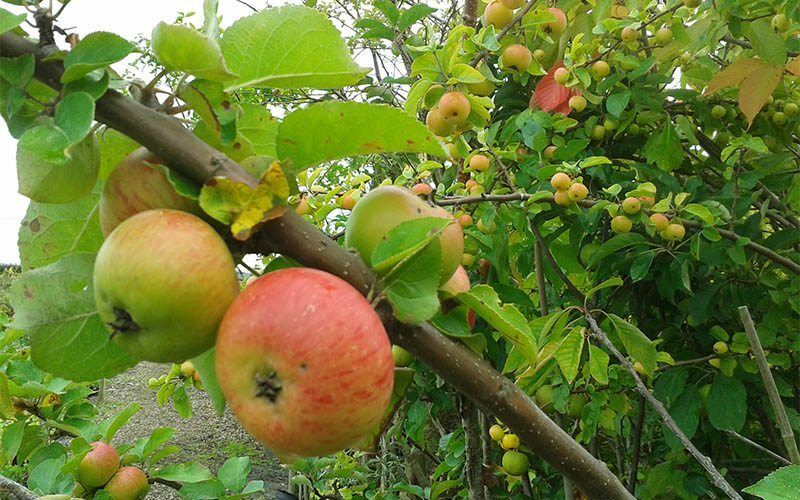 They are usually lifted late November so are ready for collecting early in December. We also keep a stock of these heeled into the ground over the winter. 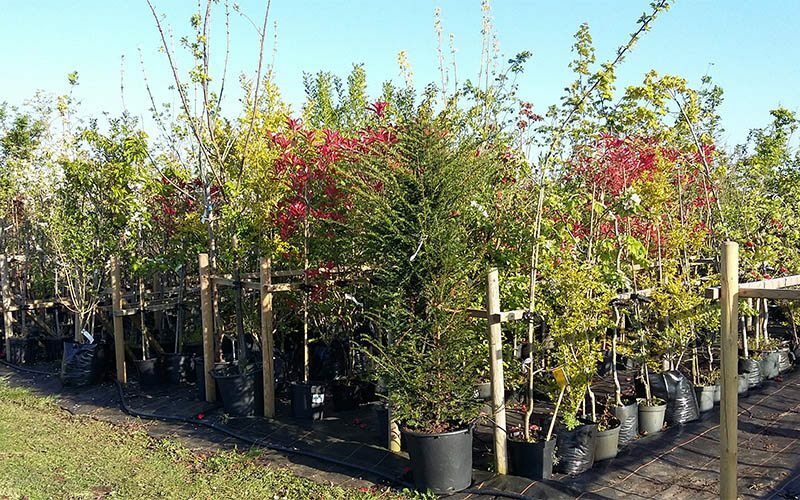 This is the most economical way of purchasing trees or hedging and is far better for the plants themselves. By planting bare root they are transplanted when they are dormant and have a chance to really establish during spring and before the hot weather in summer.